Growing up, our dad had a plaque in his office that encapsulated his upbringing: SHALOM, Y’ALL. Then our southern Jewish father married a Catholic Yankee and they raised their kids half in the North, half in the South, confirmed in the Catholic Church but also looking for the afikomen on Passover. So we need a plaque that says SHALOM YOUSE GUYS, BLESS YOUR HEART AND PASS THE COMMUNION WAFERS. What, you didn’t light the menorah in your Christmas jammies? Despite causing a bit of an identity crisis, these are some of the richest experiences of our lives. Eating latkes by the light of the Christmas tree, recycling Easter lamb for the Passover seder, dealing with Catholic guilt and Jewish neuroses: these are deeply American moments. And they’ve been happening in this country for centuries – most commonly, it seems, around the dinner table. 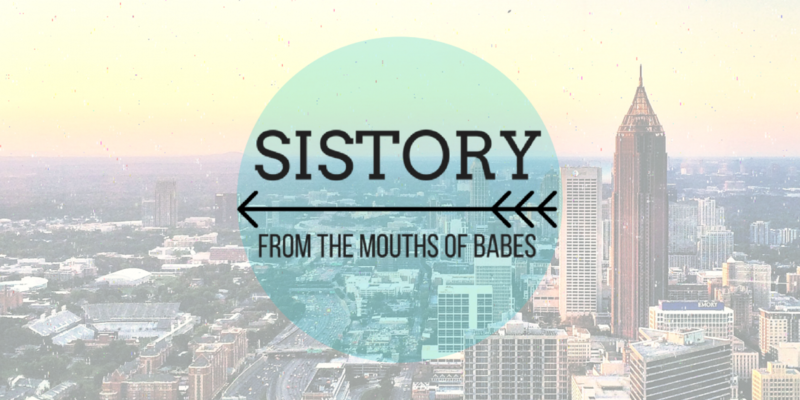 Today at Sistory, public historian Olivia Brown joins us to tell a compelling tale of culture and identity, traced through Southern and Jewish foodways in Columbia, South Carolina. How did Eastern European Jewish immigrants come to be in South Carolina in the first place? What kinds of communities did they form once they got there? And how did a Jewish deli come to serve barbecue ham? Turns out, it’s a pretty good story. A story we thought we’d let Olivia tell you herself. Grab a seat and some kosher sweet potato pie (it’s a thing, apparently!) and give it a listen. 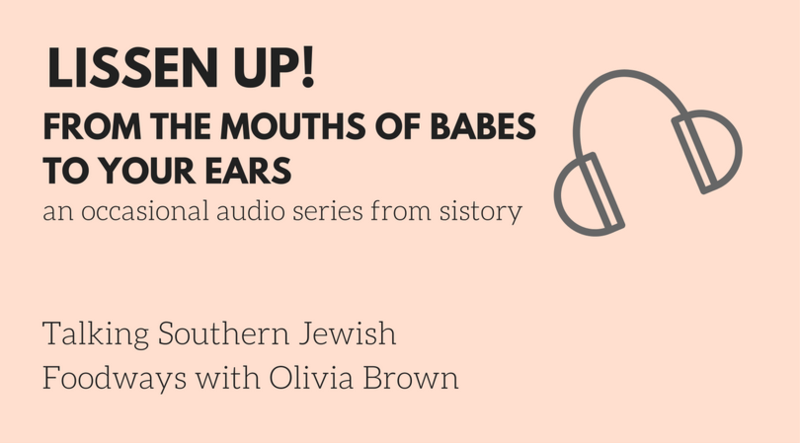 For more on this history, check out the blog Kugels and Collards, where Olivia is working with local Columbia, S.C. organizations to preserve Southern Jewish food history. You can read more about Olivia’s research here.